ARCs are advanced reader copies. 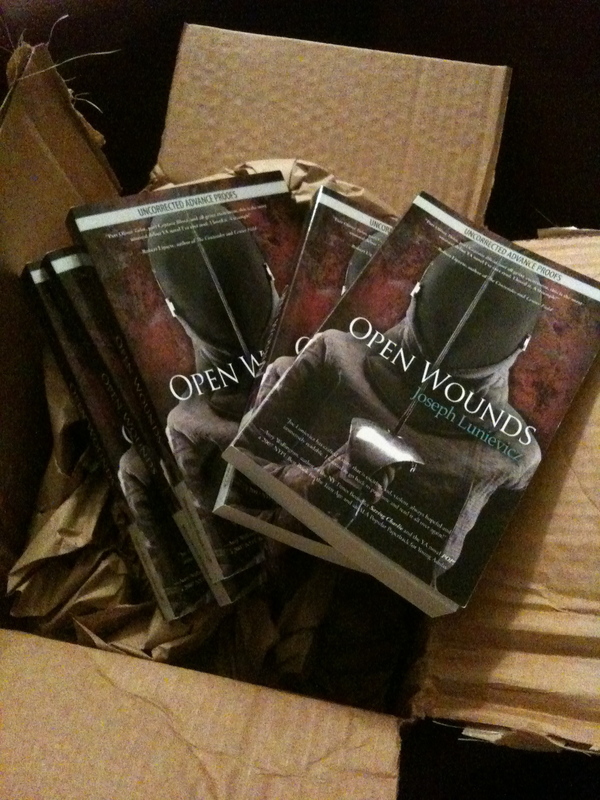 They are trade paperback size versions of my book that will be sent out to reviewers for pre-publication reviews. The ones sitting in front of me have the old cover on them (which although not as cool as the final version that will be going on the hard cover – is still pretty impressive to me). I opened the box left on my door step by UPS from Everbind (where WestSide Books is housed in New Jersey) a few moments ago and five copies are staring up at me. I am sitting writing this and my fingers are tingling and I’m a bit light-headed. I can’t believe a book with my name on it is staring up at me. It’s beautiful. When I was 16 and first started to write (I entered an essay contest and was a finalist but didn’t win because, as a judge told me later confidentially, “You could have won – we all loved what you wrote – except your spelling was so bad it put you out of the final spot.”) I hadn’t really imagined this moment. As I wrote and sent out stories and received one rejection after another over the next thirteen years I still didn’t think of myself with a book in front of me with my name on it. But by the time I was thirty I had written my first book and had begun my second, and although I hadn’t found an agent yet (I would write to 74 before I found my first) I’d published a few short stories and all of a sudden I realized I was capable of writing longer works and could be a… novelist. Over the next fifteen years the dream crystalized as I found an agent, then lost one, then found another and lost that one too. Two more agent later and the dream had almost faded. Too many rejections, too many agents, too many disappointments. I had written five novels the last one taking seven years to write, and not one had sold. I had just about given up last summer when my agent called, out of the blue – as they say – and all of a sudden – seven months later and I’m staring at an ARC of my book. There are blurbs from eight author’s on the front and back covers saying how much they liked it. Most of these authors I’ve never met before but they did this wonderful thing for me. There’s an acknowledgements page – a dedication page. I can’t believe it. There’s a huge smile on my face. A huge smile. This entry was posted on March 17, 2011 by Joe Lunievicz. 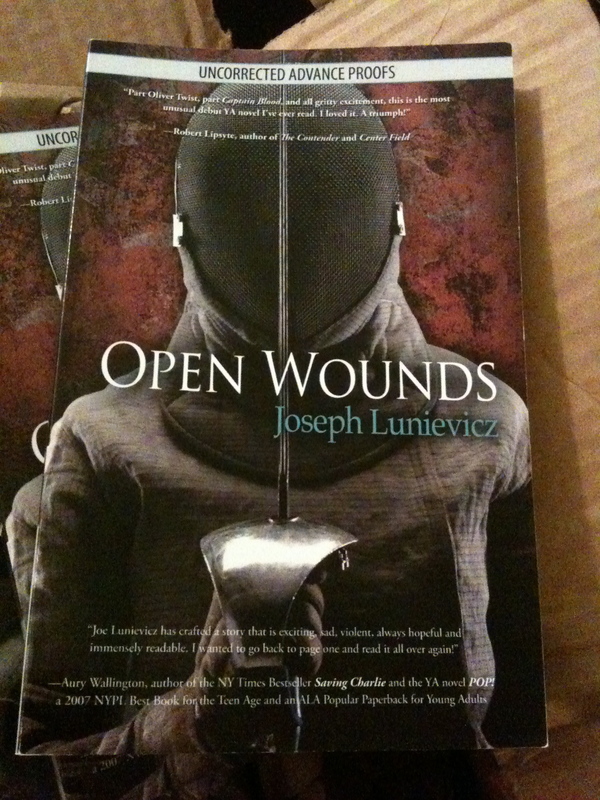 It was filed under On Writing, Open Wounds .